Abstract : The global burden of diabetes as per the International Diabetes Federation 2013 amounts to 382 million and is fast gaining the status of a potential epidemic in India with more than 65 million diabetic individuals currently diagnosed with the disease1, 2Diabetes Mellitus is a chronic metabolic disorder which causes high mortality and morbidity due to its micro vascular and macro vascular complications.3Although there is an increase in the prevalence of type 1 diabetes, the major driver of the epidemic is the more common form of diabetes, i.e. type 2 diabetes mellitus (T2DM) which accounts for more than 90% of all diabetes cases.4Even though diabetes poses high economic burden in India, the real burden of the disease is mainly due to its associated complications. Abstract : Diabetic neuropathy (DN), one of the most common complications affects nerves in T2DM patients. This study was aimed to understand the clinical presentation of DN; types of neuropathies; associated co-morbidities, risk factors, treatment patterns etc. A single-visit, cross-sectional, multi-centric, epidemiological study conducted at 363 centres. Data collection included demographics, lifestyle habits, medical history, concomitant medications, laboratory investigations and treatment regimens in DN. A total of 7172 patients enrolled with mean age of 52.8 years. The median duration of T2DM was 6 years and neuropathy was about 2 years. The prevalence rates of painful and painless DN were 49.1% and 50.9%. The most common types of neuropathies reported were acute (32.3%) and chronic (31.4%) sensory neuropathy and reported symptoms were numbness (30.7%), paresthesia (29.2%), and burning sensation (28.0%). Majority of the patients had uncontrolled glucose parameters i.e FBG: 90.1%, PPG: 90.5%, HBA1c: 69.8% and uncontrolled lipid profile i.e LDL: 65.5% and TG: 61%. Almost 2/3rd (61.3%) were treated with metformin as monotherapy or in combination. More than half (52.3%) received mecobalamin for DN treatment. Higher proportions of patients with painful neuropathy were prescribed pregabalin as compared to painless (32.18% vs 19.79%).Diabetic neuropathy is painless in almost half of the Indian patients. Acute sensory neuropathy occurs in most of the patients. Onset of diabetic neuropathy could be much earlier than expected and hence, routine screening is recommended. Metformin and Mecobalamin are commonly prescribed for the treatment of diabetes and DN. Pregabalin is a preferred treatment option for painful DN. Abstract : Leptospirosis, a potentially fatal bacterial infection, is endemic in tropical and sub-tropical countries. Agricultural workers are at greater risk because of their increased contact with the environment. This study aimed todevelop a leptospirosis screening index for oil palm plantation workers.Itinvolved 350 oil palm plantation workers in southern Malaysia usingan interviewer-guided questionnaire and serological microscopic agglutination test (MAT) with cut-off titre for seropositive at ≥1:100.A new 13-point screening index was developed based on six significant leptospirosis associated factors of ‘fruit collector job’,‘did not wear rubber glove PPE’, ‘working with the presence of hand wound’, ‘did not wash hands with soap after work before eating or drinking’, ‘presence of cows in the plantation’ and ‘presence of a landfill site in the plantation’. The screening index has good discriminatory power of 83.9 percent.The newly-developed evidence-based screening index will likely help identify which of the many Malaysian oil palm plantation workers are most at risk of leptospirosis infection. 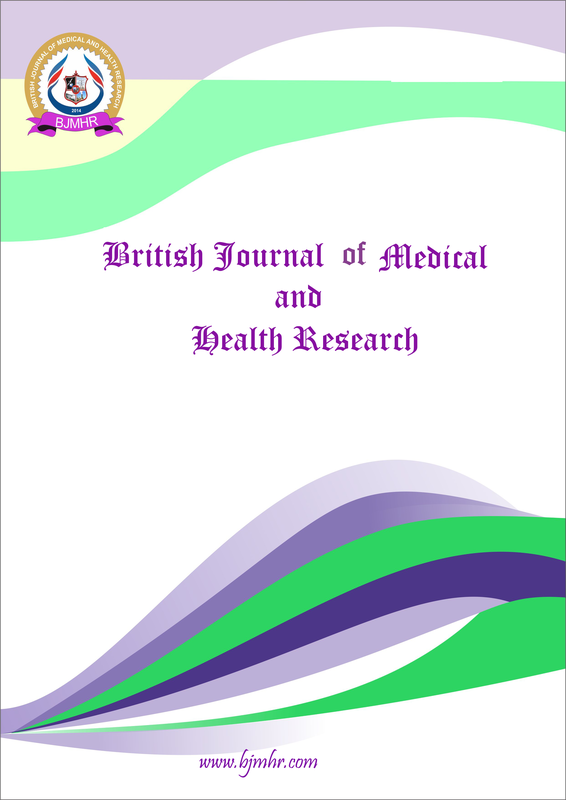 Abstract : Currently available data is limited in estimating the demography of Type 2 Diabetes Mellitus (T2DM) patients and hence this study helps in understanding the disease profile, associated complications, comorbidities, treatment paradigms and socio-economic impact in T2DM patients across India. A multicenter, observational, non-interventional, 6 month follow-up registry was conducted in 26 states across India involving 2944 T2DM patients between 18-75 years of age. Detailed medical history, profile of patients, diet patterns and lifestyle methods were captured. The laboratory parameters like FBG, PPBG and HbA1c were captured at enrolment, 3rd and 6th months. Out of total 2944 patients, data of 2849 (96.77%) patients were considered for analysis. The mean age of patients with diabetes was 52.9 years with mean diabetes duration of 5.8 years. About 1/4th of diabetics were hypertensive (24.05%) and majority was from the upper middle socio-economic strata (42.6%). About 15.8% patients were never advised lifestyle modifications and non-pharmacological interventions during the physician interaction. Metformin was the most commonly used oral hypoglycemic drug (58.53%) followed by glimepiride (35.87%); whereas a combination of metformin and glimepiride was used in 16.98% patients. Good glycemic control (HbA1c<7%) is observed only in 20.8% and 23.4% patients at 3rd and 6th months. Non-compliance to diabetic diet is found in 8% individuals. The most common cause of non-compliance is lack of motivation (5.54%), lack of information (2.28%), busy job schedules (1.94%) and financial reasons (1.56%). The one diabetes registry helps in understanding the T2DM patient flow, comorbid conditions and compliance to therapy from Indian perspective. Abstract : To study efficacy of combination of foley bulb and vaginal misoprostol in comparison to vaginal misoprostol alone for cervical ripening and induction of labour. A prospective randomized study was conducted on 150 patients with term singleton pregnancy admitted for induction of labour. Seventy five patients were induced with both foley bulb and vaginal misoprostol and another 75 were given vaginal misoprostol alone for induction of labour. Both groups were then compared with respect to change in bishop score, induction to active phase of labour interval, induction delivery interval, duration of labour,maternal complications and neonatal outcomes. Data was analyzed using chi square test and student t test. : Of two groups, change in bishop score after 4 hours of induction of labour was more in combination group. Induction delivery interval was shorter in combination group;11.76±5.89 hours than misoprostol group; 14.54±7.32hours;p=0.018. Total duration of labour was less in combination group(6.08±2.88 hours) than misoprostol group(8.20±3.62 hours);p=0.000. The results were more significant in nulliparous women. Change in bishop score is more and duration of labour and induction delivery interval becomes shorter when induction is done with combination of foley bulb and vaginal misoprostol instead of vaginal misoprostol alone. So, all nulliparous women with poor bishop should be offered induction with combination of foley bulb and vaginal misoprostol.